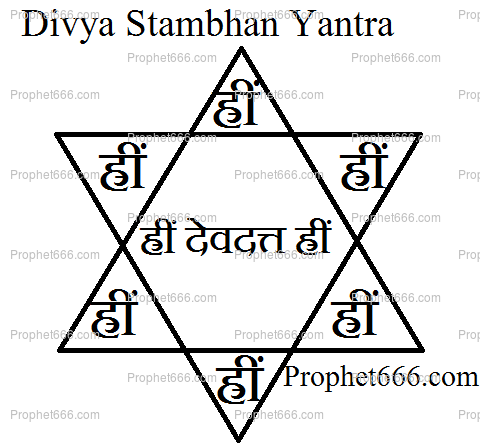 The Stambhan Yantra, might look simple, but the procedure, which is used and the intensity with which it is put into actual practice is what is really important and matters the most. 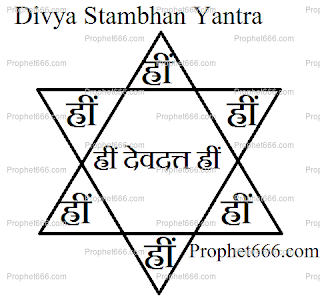 The Yantra, which is shown in the image should be prepared on a Wednesday falling during the Shishir Ritu. This period is the two months of Magh and Phalguna as per the Hindu Calendar. The Yantra should be prepared on a Bhojpatra using any pointed stick using a mixture of Bhojpatra and Gorochana paste as the ink. Then, the Yantra should be immersed in a wine/liquor bottle, even a Desi Daru Bottle can be used. The next day, the practitioner should remove the Yantra from the Liquor bottle and tie it with a thread on his Shikha. If the practitioner does not have a Shikha, he should tie the Yantra in the near about position on the hair at the back of his head. This, Occult ritual is said to cast a most powerful powerful Voodoo Spell on all those people, including enemies who see the Yantra on the tuff of hair of the practitioner.